If you’re parent on the move and looking for a super convenient all-in-one travel stroller for your precious baby, Babyzen YOYO+ Stroller – Black – Grey obviously can be your great choice. No matter whether you like to meet up with your friends to have a coffee, hop onto the subway, catch a cab or fly to the other end of the world, this world’s first luxury and versatile travel stroller is only for you to make your travel as well as life easier than before. 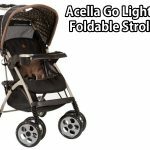 Lightweight, easy and instant folding mechanisms and compact overhead cabin luggage size, makes this stroller super compatible in the airplane overhead compartment. The folded stroller is so compact that it fits easily in any closet and in the trunk in your car. Moreover, YOYO+ is compatible with car seats. This famous stroller is suitable for use from 6+ months to 40 pounds. Undoubtedly, you’ll love all of its impressive features including the XXL Under-seat storage basket, storage pouch, and carrying strap. The package comes with chassis, rain cover, and travel bag. Your little one will definitely feel comfortable and sleep well in it. The great size and weight make this stroller travel-friendly. Its featherweight is only 16 pounds. The folded stroller is extremely compact (20.5 x 17 x 7 inch). Hence, it fits easily in any smallest place. In addition, the tiny fold makes this stroller travel-friendly and airline approved for carrying on. YOYO+ comes with a spacious underneath storage basket. The basket is 60% larger than the original YOYO basket to fit all of the baby’s accessories (and yours!) that you need to travel with your baby. This stroller features an extendable canopy with UPF 50+ sun protection. Don’t be worried to travel in the rain with your baby. The new rain cover will entirely protect your baby and the stroller. The stroller has suspension on all the four wheels. This makes the journey smoother and comfortable even on rough terrain. You don’t need to lock the front swivel wheel. 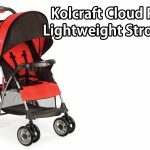 The aluminum frame makes the stroller ultralight as well as durable. The stroller is super compatible with Aton 2, Aton Q, Cybex Aton, and Cloud Q infant car seat. The one hand folding mechanism makes it easy to collapse and open. Babyzen YOYO+ all-in-one stroller that can be used for your baby from his/ her birth to toddler. Flat carrycot, 5-point harness system, foot cover, headrest and 2-position pop up canopy- all these features just perfect for your newborn. Moreover, it’ll be your company up to your baby grows into a toddler. When it’s time for your baby to discover the world, incline the backrest to 145-degree in various comfortable positions. You can’t overlook the versatility of this stroller. Carry your newborn in its own car seat, while the older children have the freedom to ride standing or sitting on the convenient YOYO+ board. Babyzen YOYO+ Stroller ensures the safety and comfortability of your precious one (as well as yours!). The lightweight, well-built frame with patented “soft drive” system makes this stroller comfortable and easy to maneuver for you. On the other hand, the 4-wheel suspension, 5-point harness, the extended canopy with sun protection ensures your little angel’s comfortable riding and full protection from the elements. A number of features such as one-hand folding- unfolding-steering, extremely compact size when folded, easy to store, a spacious storage basket, and transport bag- makes Babyzen not only convenient and very practical but also ideal for traveling. Who Shouldn’t Use This Stroller? Although Babyzen YOYO+ is a fantastic stroller and worth the money, one of the disadvantages of this stroller is its non-adjustable handle. Mom and dad with comprehensive different heights may feel somewhat uncomfortable in that regard. No stroller is 100% perfect for everyone. But Babyzen YOYO+ Stroller – Black – Grey is very, very close. Obviously, it’s a well-engineered, well-built, all-around smart and stylish stroller as well as an object of parental envy. It’s a great travel-friendly stroller without compromising quality, functionality, and security. Lightweight, compact size, great build quality, tiny folded footprint, excellent hood coverage, and easy storage- all these features will surely meet your need while you’re on the move with your precious baby. If you’re parents who are always on the move, you must have this travel-friendly stroller to make your life easier and comfortable.